Around here you have to pull the cars out when they go under. There is a heavy fine for each day a vehicle is in the lake. That really slows down the willingness to go on thin ice. To be honest I was surprised it had any impact I mean why would someone worry more about a fine then their lives? My fear was always if I go under ice I will likely die. I took my grand daughter to an empty parking lot and she learned how to correct a slide. While talking to my wife the this week , the gd thanked me for that afternoon. I heard this fellow interviewed on the radio a year ago. A miracle he’s alive. In the interview he said he pushed off mud on the bottom, and couldn’t even tell if he was going up for a good part of the ascent. The rich cottage owners passing by wouldn’t even help him. 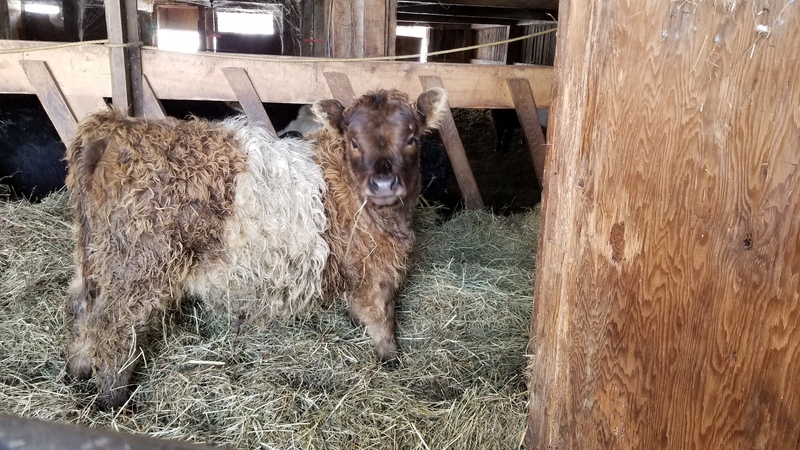 Winter is here there is enough frozen buildup in the barn that the small calves can jump through the feeder and enjoy the all you can eat buffet where I store a few days hay for them in the front of the barn. Winter goes on. 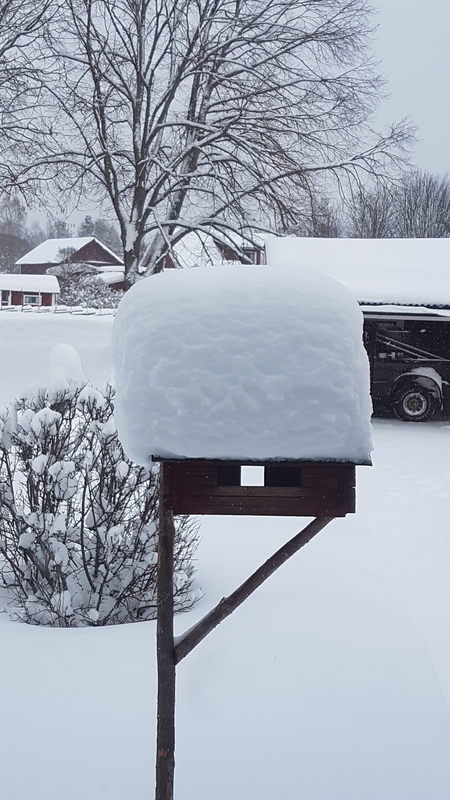 Snow passed two times the hight of the house today. Sunny, and 64* f today, rain tomorrow. -1*f less than a week ago. A lot of the utilities in the north are struggling. They are giving out hotel vouchers to people who might get cut off. Denver is giving vouchers to homeless people. On the morning of January 30th when it was minus 42, a new consumption record was set, exceeding generating capacity by 5%. The new hydro dam is clearly needed, though renewables and battery storage could go a long ways too. "Manitoba Hydro has set a new all-time record for electrical consumption. The utility says that record was set Wednesday morning with a peak load of 4,924 megawatts. The previous record was 4,801 megawatts, set January 13, 2017." It is 54F here today crazy warm for NH in February. Second day in a row I guess we are in for a few more days of nicer weather. 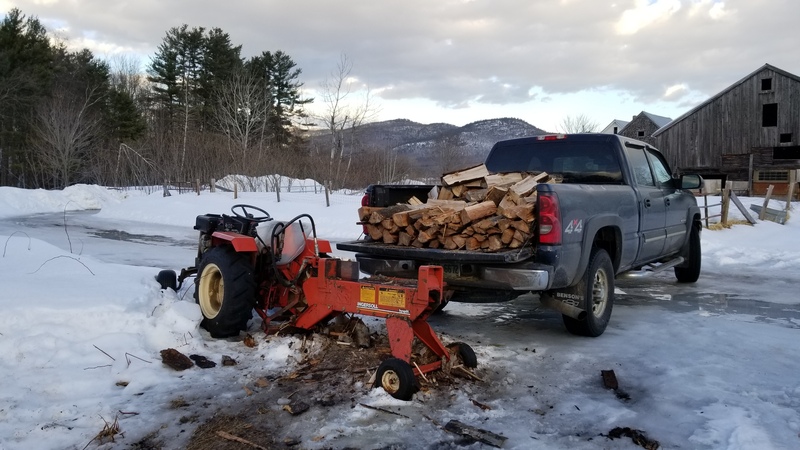 My wood shed is looking empty so I am trying to dig out some logs I should have split a long time ago and put them in the shed now. Atleast the warm weather is making that easier. Actually perfect weather to be outside if you don’t mind walking on wet ice. Glad to hear there is still some heat left on the northern hemisphere. We haven’t had a thaw since November. Pretty much constantly between -10 and -20C. No extreme cold snaps though. Well it was a small pickup load today but I had to find the wood pile first so that slowed me down a lot. 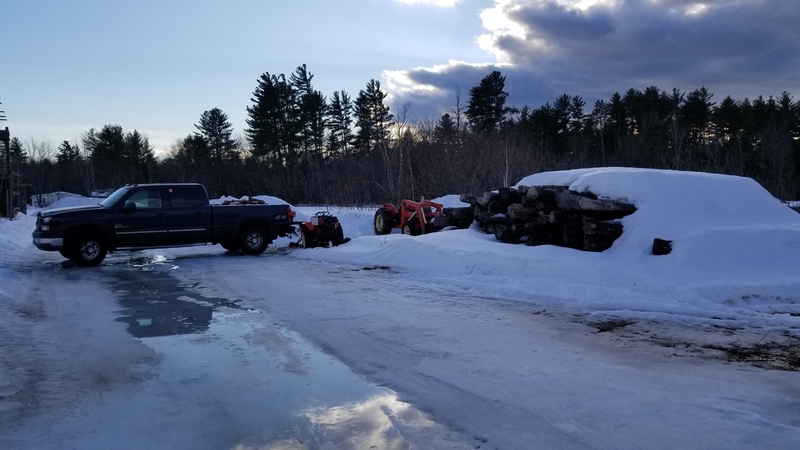 The Logs I did saw where frozen into the ground but my Allis Chalmers D15 made short order of that ice you have to love hydraulics. 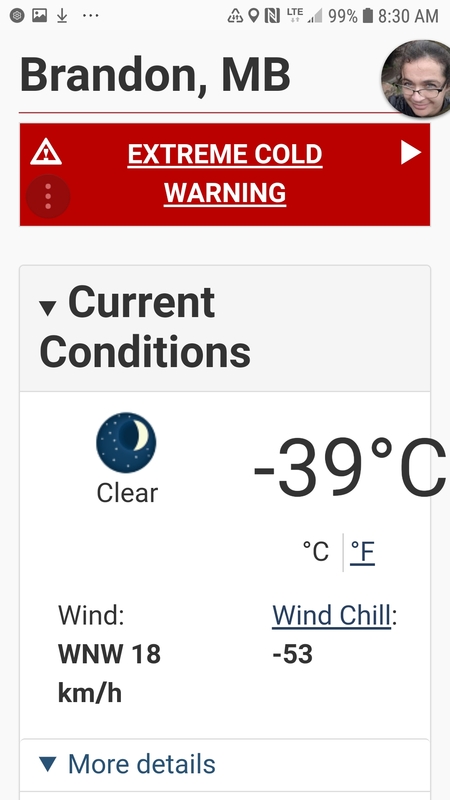 Not -40, as some of you are experiencing, but -22C today. Still cold enough to me. We have only had a few weeks maybe this winter of about -5 f around here in michigan, cold enough too not want too be out long in that kind of temps in between work and home travel, makes you wounder how those two adventurers are doing walking acrost the antartic this year.Its been a warmer than usual winter here fore the most part, about 10 or so warmer.Enjoy the cristal clean cold air, and cruncking snow that us northerners get used too every winter usually any way. Every since little kids playing in the average 4’ snow drifts and blowing snow, Normal for us. …I bet you do. Being locked up indoors is no fun. Still living the dream here, another couple of cold days to come, the forecast says. I think your deer would chill here today Billy. Hopefully it will set the invasive species back some.